When the Canon EOS 6D was launched, it was a massively popular camera, full frame detail, and brilliance at a price the enthusiast could afford. In August 2017 after a five year wait, it’s successor the Canon EOS 6D Mark II was launched, and frankly, it was a disappointment. Does this camera deserve the slating it has had? Is this camera as poor as critics have made out? Let’s look at the reviews to try to understand what went wrong, and try to understand whether the doom merchants were proved right. In July last year, the wait was over the 6DII which had been heavily trailed on Canon rumour sites and forums was finally released. Digital Trends was one of the first to review the camera based on a Canon sponsored trip to the Grand Canyon to test beta models prior to release. They were impressed by the new spec’ compared with the old Canon EOS 6D. Digic 7 processor vs Digic 5 in the 6D. Burst rate from 4.5 frames per second (fps) to 6.5. New articulating three-inch touchscreen with a 1.4-million dot resolution. After waiting some four-and-half years, it would have been nice to see the 6D take a bigger leap forward, rather than just play catch up to the rest of the product line. Pocket-lint were one of the next reviewers on the block. They praised the versatility of the camera, especially with the articulating screen and pointed out how light the camera was compared to the 5D IV, and Nikon. The 6D 75g is lighter than the Nikon D750. The viewfinder only covers 98% field of view, meaning you are likely to be cropping the edges. With the 5D IV it is a 100% field of view. There are 45 autofocus points all cross type, more than the 11 with just one cross type in the 6D, but less than the 61 in the 5D IV. The burst rate of 6.5fps is half a frame slower than the 5D IV. There is only one card slot compared to two on the 5D IV. An annoying restriction for wedding and professional photographers. At launch, there was around one thousand pounds difference in price between the Canon EOS 6D II, and the Canon EOS 5D IV. However, the reviewers questioned whether for all customers the additional £1000 was worth the few additional features. For many it will fulfill every need at a far lower price than buying a 5D Mark IV, which gives this full-framer considerable appeal. I respect Ken Rockwell. His reviews are detailed, and he seems to be dead straight, there are none of the current biases e.g. mirrorless vs DSLR, Canon vs Nikon vs Sony, Fujifilm vs the world. I bought the Canon 6D based on his recommendation, so what are his views and comments about the 6DII. The image quality is the same, but it may take more time and trouble to change settings than with more expensive cameras. The 6DII is light compared with Sony’s top full-frame mirrorless cameras which aren’t much lighter. High quality domestic Japanese production, not offshored to China or Thailand like Sony or Nikon. Ken Rockwell has shot the same scene at various ISOs and his conclusion is that the high ISO performance is state of the art and matches other current full-frame cameras like the Sony A7R Mk III. The review is summed up by some encouraging words. 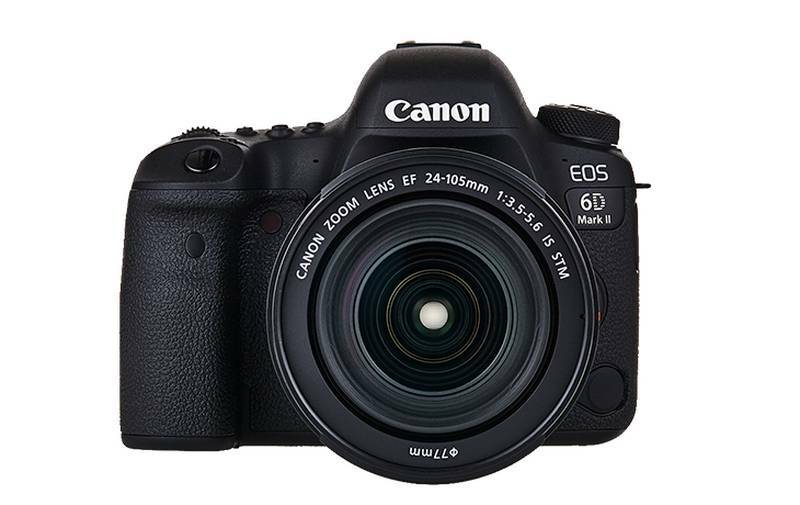 The original Canon 6D has always been the world’s best low-cost full-frame DSLR, and this new 6D Mark II is even better. The 6D Mk II is excellent for most DSLR uses like landscapes, however for people pictures I prefer a camera with facial recognition for regular viewfinder shooting, like a mirrorless camera or a higher-end Canon DSLR. There is face detect in Live View using the articulated screen rather than the viewfinder. Not having a flash is not a big disadvantage because the high ISO performance is so good. Canon’s metering system tends to underexpose backlit shots. The 45 point AF is centred, which can be a disadvantage if you want to compose off centre. Let’s be clear: The EOS 6D Mark II is, like so many other cameras, capable of outstanding images in the right hands. But even considering all the traditional Canon bonuses like great color, ease of use for video capture and comprehensive lens ecosystem, the 6D II falls too far short for us to recommend it over the competition, and therefore it doesn’t merit our highest awards. For definitive laboratory type sensor testing go to DXOMARK. Picture quality is based on two factors, sensor quality and the quality of the lens you can afford. Here we are looking at one half of the equation. DXOMARK give an overall mark based on their tests of sensor performance. The Canon 6DII gets a score of 85. By comparison, other Canon full frame cameras get a higher score due to their more advanced sensors. The Canon EOS 1D x Mark II launched in 2016 scores 88, and the Canon EOS 5D MarkIV scores 91. Canon has the technology, but chose not to use it on the 6DII. In 2012 when the 6D was launched the major competition came from Nikon, but times have changed. 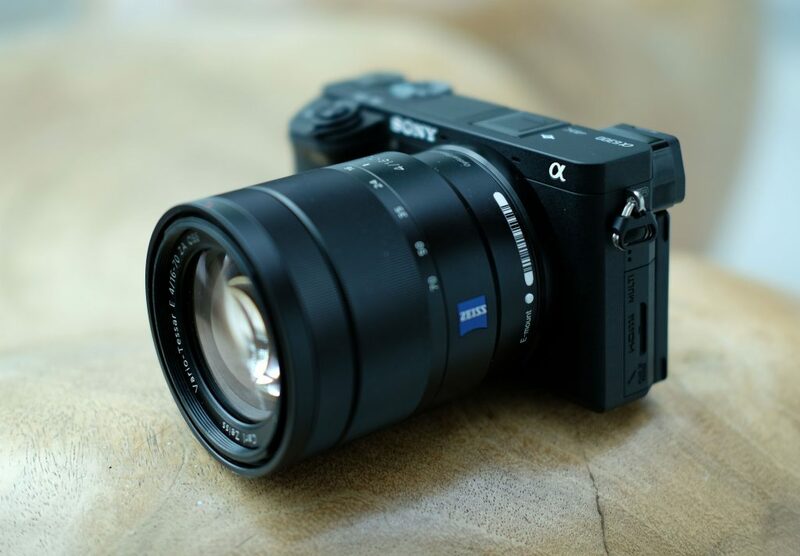 Now even the Sony a6300 which is not even full frame, but an APS-C format sensor, scores 85. 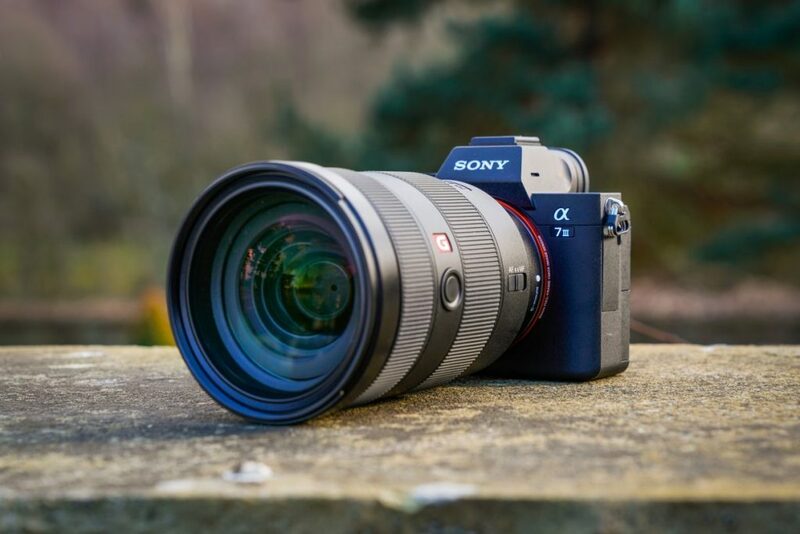 The full frame Sony A7R launched in 2013 and now priced well below the 6DII scores a whopping 95, and it’s successor the Sony A7R III scores an even more whopping 100. Imagine that with the latest Sony G glass. Read about it. [The score] is a result of notably lower dynamic range recorded by the 6D Mark II at base ISO, which is a concern for photographers after the best image quality in good light. From ISO 800, dynamic range is much closer to the performance of semi pro rivals such as the Nikon D750 and Sony A7 II however, and with good color sensitivity at all settings and well-controlled noise the 6D Mark II lends itself better to low light photography. The 6DII was never going to be a sports or a wildlife camera, the burst rate is too slow and the AF too clunky to follow the action. As a people shooting camera, the lack of face recognition and the centre positioned auto focus make it difficult to use creatively. However, the camera is on paper ideal for landscape and nature, the higher resolution full frame sensor, the weather sealing, and the flippy screen make working on a tripod a breeze. However, lift the hood and the engine has not got the grunt in terms of dynamic range that serious RAW landscape and nature photographers might expect. However, in reviewing the 6DII there is good news and bad news. Let’s get the bad news out of the way first. Canon have been too cautious with the 6DII. Keeping it purposely not quite as good as the 5DIV to maintain parity across the product line. The 6DII has taken 5 years to develop and was designed by a committee. During which time it was overtaken by the likes of Sony, and their old rival Nikon, with the matchless Nikon D850. Now for the good news. The bad press has actually turned the situation around, and as a result the price of the 6DII is falling. At launch, the purchase price in the UK was £1999. The current price at the time of writing (Jan 2018) is £1728, compared with the Canon 5DIV, which is now almost twice the price at £3229. If you shop around you can get the 6DII for an amazing £1185. Ok, the 6DII is a flawed camera, but at that price, it is a great camera. I was looking to do some sensor comparisons and headed off to this fantastic site. 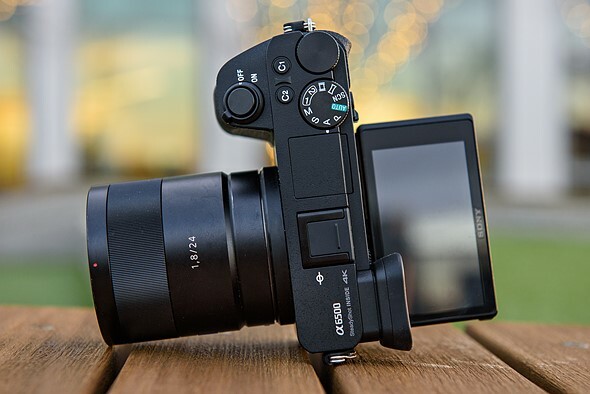 I have been researching Sony A6000 cameras for a bit now, because I am looking for the ultimate street camera. 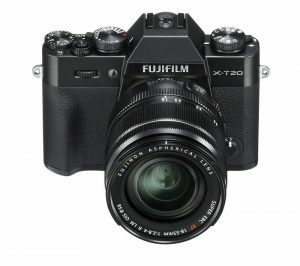 I did have a Fuji XT20 but I had to send that back to Wex because the AF was dire. See how I tried to overcome the problem. Can I just mention that Wex were fantastic and their customer service is second to none. However back to the Sony 6300. 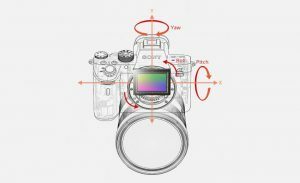 At DXOMARK they measure the image quality of camera sensors, this covers colour sensitivity, noise including dynamic range and tonal range, and ISO sensitivity. The Sony 6300 and Sony 6500 have a score of 85. This is on par with the Canon 6D MK2. The prestigious Canon EOS-1D X Mark II scores 88, the Canon 5D MKIV 91, and the extraordinary new Nikon D850 scores 100. The list here is dominated by Nikon, Sony and to a lesser extent Canon. It is interesting reading reviews in which reviewers use their own image quality tests, but on this site it is completely impartial. The numbers do the talking. I thought I would explore mirrorless cameras. Will they take over from DSLRs or are they just a jumped up compact camera? I chose the Canon EOS M3 because it was on offer at a great price at Amazon and these are my notes. I am doing a lot of street photography and I wanted a camera that was discrete, and which I could use without raising it to my eye. The EOS M3 fitted the bill with its neat articulated screen. The camera is also so small that it is lot less noticeable than a big DSLR. How did I get on. The 24MP APS-C CMOS sensor coupled with the EF-M 15-45 zoom lens capture excellent detail, as can be seen from the image above. Especially considering there has been some of cropping involved. 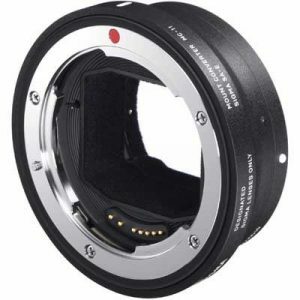 A big plus is that there is an adapter that joins the camera to your big DSLR lenses so your investment in Canon glass is safe. The handling is easy, it is smaller than a DSLR but bigger than many of the compact cameras we have all used, so it’s size is not as big a deal as many commentators make out. I did not miss the viewfinder, although an external EVF (Electronic Viewfinder) can be bought separately which clips onto the hot shoe. I have big hands and the camera felt comfortable. The build quality is good and the grip was nicely proportioned. I loved the flippy screen, which articulates to 180 degrees. OK not much can be made out in strong sunshine, but it is convenient and covert enough for street photography. There has been criticism of the battery life, but I think that must be when used for video, I had no issues on a photographic shoot. Autofocus is an issue. Reviews complain that it is too slow. My reservation is about the inconsistency and accuracy. Often a shot would be brilliantly in focus, and then another would be off. Perhaps it was the complexity of a street scene, but even when I used the touch control on the screen it often did not pick up the focus zone. Another issue is the small buffer when shooting continuously in RAW, the camera almost starts to pant with exhaustion after a few shots. It is a bit unfair because the sensor is getting a bit long in the tooth, but the dynamic range is challenging. Digging for detail in RAW that just is not there in post processing. So what is the conclusion? I like cameras this size and weight that can produce fabulous images just like those from a good DSLR. So I want to explore going mirrorless. My issue with the Canon EOS M3 is that it is inconsistent. 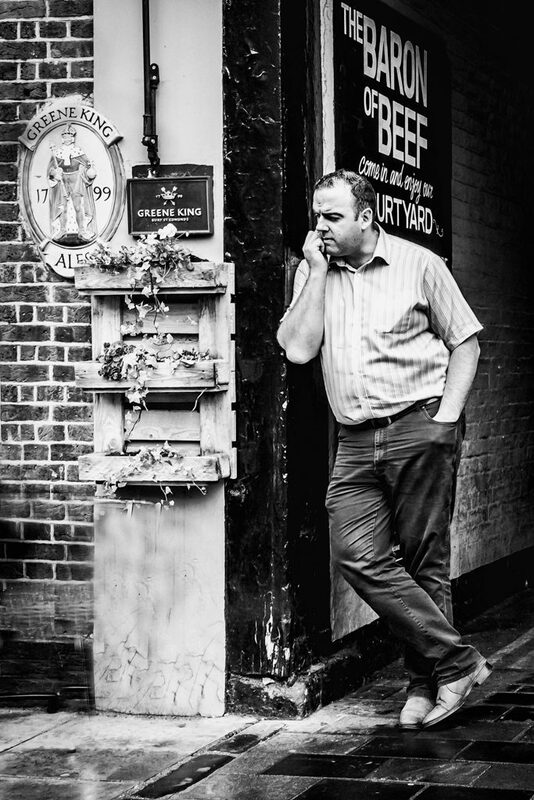 I cannot guarantee good results in the quickfire arena that is street photography. However, if you are thinking of buying a good walkabout camera to record family and events, forget those little compact cameras with their small sensors and lenses and instead look no further. For less than £500 it is a steal.